Prym’s classic eyelets are versatile and are a real plus for laces, handicrafts, as fashionable decorative elements or for interior decoration. 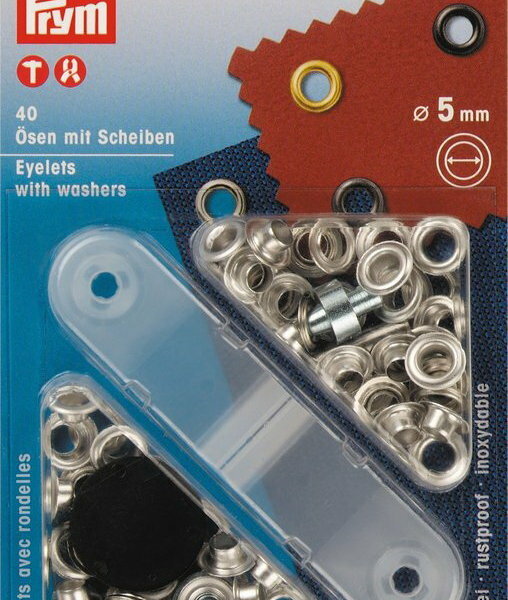 The stainless eyelets are made of brass and are available in different colours and with different internal dimensions. All you need is a hammer as the setting tool is provided in the kit. 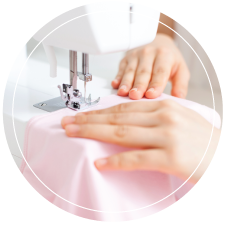 The eyelets should be fixed, so that they can no longer turn – which avoids detachment of the eyelet if the fabric is tightened. 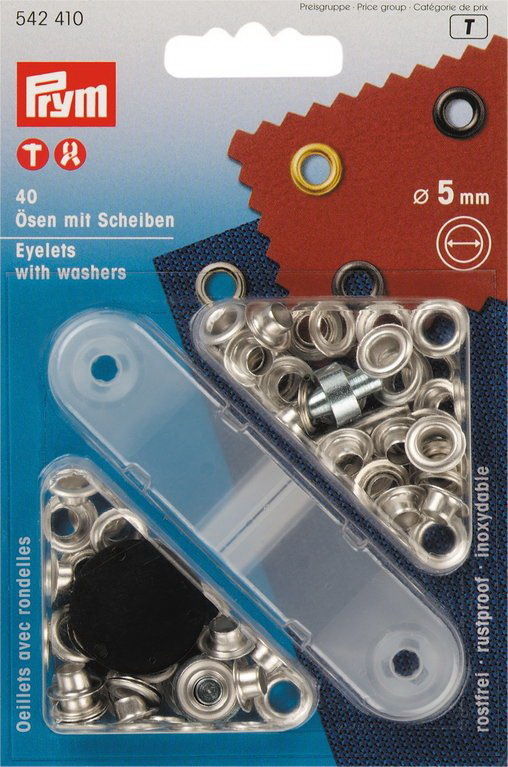 Each pack contains 40 eyelets and washers plus a setting tool.